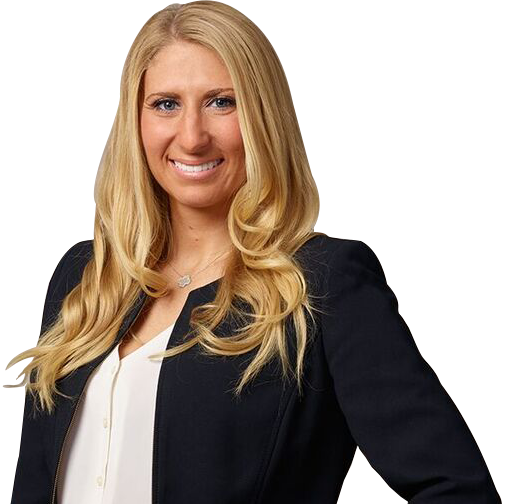 Lindsay Mesh Lotito is an associate, concentrating her practice in the areas of real estate finance, banking, foreclosures, and creditors rights. Ms. Mesh Lotito primarily counsels institutional and private lenders on commercial mortgage loan transactions and represents lenders, mortgage loan servicers, and homeowners associations in the various aspects of foreclosure and collection law. While earning her degree, Ms. Mesh Lotito worked as a law clerk with the Firm, where she gained a wide range of experience in transactional and litigation matters by working with the Firm’s various departments. Ms. Mesh Lotito also gained valuable legal research and writing skills through an Externship with the Honorable Edmund Dane, Family Court of the State of New York, Nassau County. Ms. Mesh Lotito is a graduate of Hofstra University School of Law where she was recognized for her pro bono volunteer work, receiving the Bronze Level Public Service Award. While in law school, Ms. Mesh Lotito was the Managing Editor of Staff of the American College of Trust and Estate Counsel (ACTEC) Law Journal and an intercollegiate competitor for the Dispute Resolution Society. Ms. Mesh Lotito has been published in Suffolk Lawyer and New York Real Estate Journal. In recognition of her accomplishments, she was named a “40 under 40” Rising Stars of Queens by Queens Courier in 2017 and a “30 Under 30” by the Long Island Business News.